Our Company, in its capacity as a Data Controller, on its own, or in conjunction with others, sets the purposes and means of the data processing activities carried out, and in its capacity as a Data Processor, processes personal data on behalf of the Data Controller. The term “Data Processing” shall mean any operation, or set of operations, which is performed on personal data or on sets of personal data, whether or not by automated means, such as collection, recording, organisation, structuring, storage, adaptation or alteration, retrieval, consultation, use, disclosure, transmission, dissemination or otherwise making available, alignment or combination, restriction, erasure or destruction. The term “Data Process” shall mean technical type of data processing activities, when the Data Processor has no right to dispose over, or make decisions in relation to the data processed. “Personal Data” shall mean any information relating to an identified or identifiable natural person (the “Data Subject”). An identifiable natural person is one who can be identified, directly or indirectly, in particular by reference to an identifier such as a name, an identification number, location data, an online identifier, or to one or more factors specific to the physical, physiological, genetic, mental, economic, cultural or social identity of that natural person. As a Data Controller and a Data Processor, our Company fully respects the privacy of all persons, on behalf of whom personal data is supplied, and is fully committed to ensure an adequate protection of such data. Legal seat: 1072 Budapest, Dohány u. 5. The Data Processor shall solely be entitled to execute instructions given by the Data Controller in writing. It is mandatory to have a written contract in place between the Data Controller and the Data Processor, which shall specify the scope of data supplied by the Data Controller to the Data Processor, and the specific activities to be carried out by the Data Processor in relation to such data provided. All employees processing personal data shall be bound by a confidentiality obligation. In order to ensure proper data security, the Data Processor shall be obliged to make the necessary organisational and technical measures required. The Data Processor shall provide support to the Data Controller in fulfilling its obligations. As instructed by the Data Controller, the Data Processor shall be obliged to duly return all personal data to the Data Controller, or shall erase all such data, and all their duplicates made, unless the data is mandatory to be retained, by any member state or EU law. The Data Processor shall be obliged to facilitate any audit or field review to be carried out by the Data Controller, or by any auditor mandated by the data Controller. If the Data Processor involves a sub-Data Processor, the sub-Data Processor involved shall be bound by the same obligations stipulated by the original contract signed between the Data Processor and the Data Controller. – pursuant to Article 37 of the GDPR, our Company is not obliged to nominate a Data Protection Officer. Data protection related queries: if you have any request or questions in relation to the data processing activities carried out by our Company, please send it via regular mail to the following address: 1072 Budapest, Dohány u. 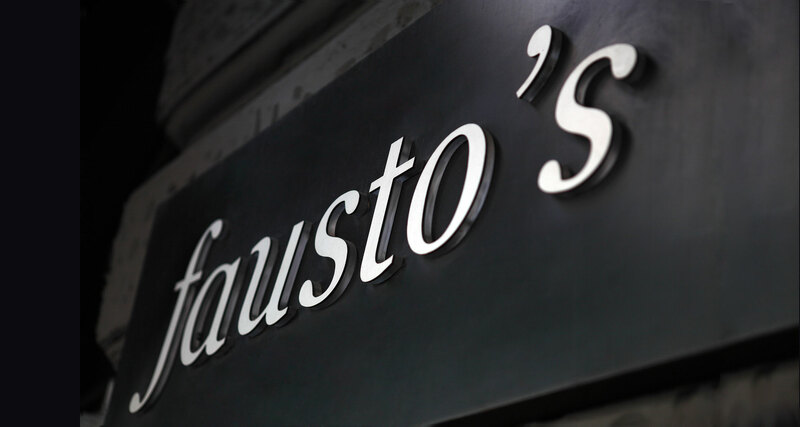 5., or via e-mail, to the following e-mail address: ristorante@fausto.hu. We will promptly send you a reply, by not later than within 30 days, to the address you specified. – our Company does not transfer any data to other countries. f) for the purposes of a proper fulfilment of the Company’s mandatory obligations stipulated by the law. Article 6(1), point a) of the GDPR: lawful interest, in which case a proper assessment of the various parties’ interests is required. b) liaising with the business partners: legal basis (in case of processing the data of the business partners’ employees): Article 6(1), point f) of the GDPR. The Data Controller’s lawful interests: the business, as on on-going concern. e) marketing activities: legal basis: Article 6(1), point a) of the GDPR. For the purposes of marketing activities, the Company has a Facebook profile, however, no standalone database is created, and no profiling is done. g) operating a CCTV system for security purposes: legal basis: Article 6(1), point f) of the GDPR. The Data Controller’s lawful interests: property security. With regards to the employees, the Employer’s lawful interests, as specified by the Labour Code. – the Data Subject is informed about the outcome of the assessment of the various interests being carried out. The Data Subject shall have a right to object against the processing of his/her personal data, as a result of which his/her personal data will no longer be processed by the Company, unless the data processing activities are required for a specific purpose (such as any data mandatory to be processed in relation to the employment relationship, by the law). In case of direct marketing purposes, no such reason exists, therefore, if the Data Subject objects to the processing of his/her data, the data shall be erased accordingly. (Direct marketing activities include any advertising, which approach prospective clients directly. This can be done electronically, by phone, via regular mail, etc. Specific rules shall apply to each individual method. In this case, the Data Subject shall be the addressee of such advertising sent, i.e. the person who receives the advertising, or to whom it was directed. The Data Subject’s personal data can be processed for example by the operator of a website or a webshop). The Company retains all invoices for a period of minimum 8 years, to comply with the applicable mandatory obligations. The mandatory retention period for the documents, which serve as the basis for issuing invoices is 8 years. The mandatory retention period for documents serving as the basis for employment: 50 years. The retention period for the business partners’ contact data provided: 1 year after the business relationship ended. The retention period for the data related to the fulfilment of contracts: 5 years. The CCTV footages are stored for 2 weeks. h) right to object the personal data being used. shall mean a breach of security leading to the accidental or unlawful destruction, loss, alteration, unauthorised disclosure of, or access to the personal data being processed. The Company shall ensure an adequate level of data security required in line with the specific level of risks attached to the data processing activities carried out, and in case of a personal data breach occurring, our Data Protection Officer, or if there is no such officer, the Data Controller/Data Processor, or its authorised representative shall without undue delay, or not later than within 72 hours after having become aware of the incident, notify the personal data breach to the competent supervisory authority, and to the relevant Data Subject. Our Company shall make all necessary security measures required when becoming aware of a personal data breach, for the purposes of eliminating the vulnerability, serving as the basis for the personal data breach to have occurred, and to restore the original condition. The Company shall notify the Data Subject about the measures taken, and their outcome. Details of the relevant data protection authority in Hungary: The National Authority for Data Protection and the Freedom of Information (hereinafter referred to as “NAIH”, legal seat: 1125 Budapest, Szilágyi Erzsébet fasor 22/C, e-mail address: ugyfelszolgalat@naih.hu). Data Subjects shall have the right to submit an official complaint to NAIH, if, in their view, the data processing activities carried out in relation to their personal data do not comply with the relevant laws. Data Subjects shall also have the right to file for a judicial review, if the NAIH’s decision on the case is disputed. 1. registration system about the data processing activities carried out – prior to the GDPR becoming effective, it was maintained by NAIH, pursuant to section 65 of the Infotv. the data processing related registration activities shall be carried out separately, for each specific data processing activity carried out.